The national average is indexed at 100, which means that what costs a buck elsewhere in the country can be bought in Eau Claire for just 95 cents. It doesn’t just seem like it costs less money to live around here; it’s really true. 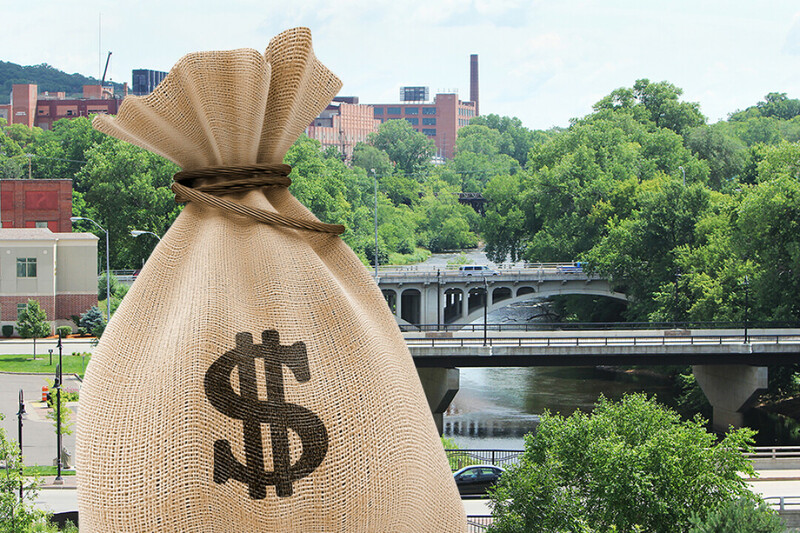 The 2017 Cost of Living Index published by the Council for Community and Economic Research pegged the cost of living in the Eau Claire metro area at 95.1. The national average is indexed at 100, which means that what costs a buck elsewhere in the country can be bought in Eau Claire for just 95 cents. While a nickel may not seem like much, these small differences in prices add up over the course of a year. Eau Claire’s relative inexpensiveness is due in large part to the low cost of housing: In that category, we’re indexed at 79.2 out of 100. Groceries – indexed at 95.8 – are also cheaper than the national average. The Eau Claire metro doesn’t do as well in some other categories, though. We’re at 105 in utilities, 108.6 in transportation, and 112.6 in health care. The Council for Community and Economic Research – an Arlington, Virginia-based nonprofit – compiles the index for hundreds of communities nationwide based upon prices of a large basket of goods, from iceberg lettuce to optometric visits. Eau Claire falls in the middle among the Wisconsin metro areas surveyed: Madison comes in with a composite index of 107.6, Fond du Lac at 95.1, Green Bay at 92.2, and Wisconsin Rapids-Marshfield at 91.2. Across the state line, Minneapolis was indexed at 104.9 and St. Paul at 104.5.